Aligning performance and goals with business outcomes focuses your people on work that really matters. It’s a way to keep business-critical tasks from falling by the wayside in the face of urgent, but less important day-to-day tasks. 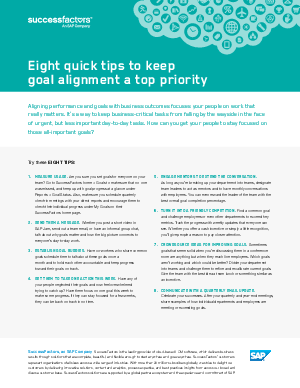 How can you get your people to stay focused on those all-important goals?